If you’re thinking about weight loss surgery, you may have learned there is more than one operation to consider. Drs. Howard Simon and Taewan Kim are the most experienced surgeons performing weight loss surgery in Central New York. They are featured in the spring issue of “Upstate Health” magazine, explaining the different types of surgery. Surgeons at Upstate tailor weight loss surgery to individual patients, but of the three main operations, the gastric bypass is most popular. It allows patients to lose the most weight. 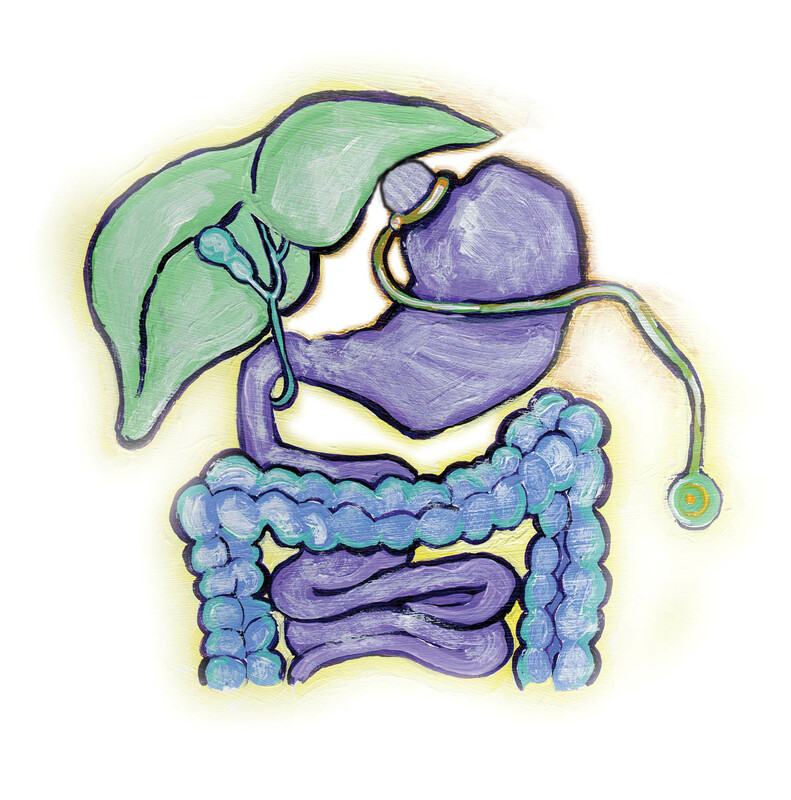 How it is done: A small pouch is fashioned from the stomach and connected to a section of small intestine, so food bypasses part of the small intestine. What the surgery does: The stomach is made smaller, thus limiting the amount of food that can be eaten at once. You feel full sooner and stay full longer. And, your body absorbs fewer calories because the food passes through a shorter small intestine. 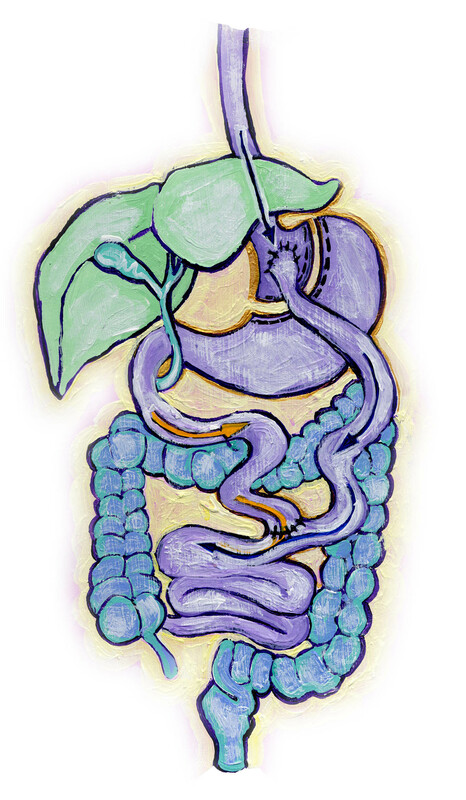 The stomach and intestine remnants, which are left inside, continue to function hormonally. How you lose weight: You eat less, so your body uses fat for energy. How it is done: A band wraps around the upper part of the stomach, creating a pouch about ½-cup in size. The band can be periodically adjusted. 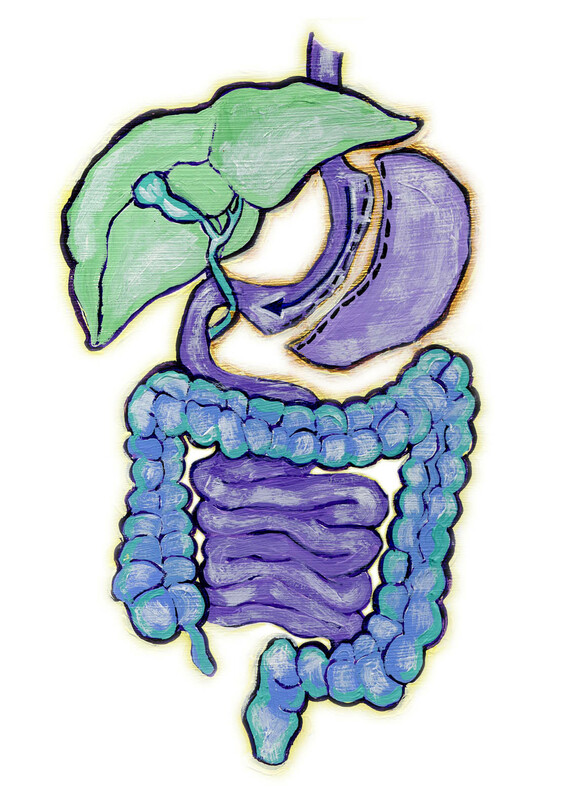 What the surgery does: The stomach is made smaller, thus limiting the amount of food that can be eaten at once. You feel full sooner and stay full longer. How it is done: Part of the stomach is removed, leaving behind a stomach about the size of a banana. Average percent of body weight lost: 55 percent. An hour-long radio show was devoted to weight loss surgery in January. Listen to archived podcasts of all of the interviews without leaving your home, on Health Link on Air. This entry was posted in community, surgery, weight loss and tagged academic medical center, health care blog, health care social media, hospital blog, hospital social media, SUNY, syracuse health care, syracuse hospital, university hospital, upstate medical, upstate university, weight loss, weight loss surgery. Bookmark the permalink. 1 Response to Which weight loss surgery is right for you? Gastric bypass? The band? The sleeve?